There are a lot of books that can inspire your soul, and not just in a silly fleeting way, but in a way that will change the way you perceive the world. They can quite literally peel off the layers of fear that have been conditioned into your brain from your upbringing and experiences. They show where spirit and science meet, they tell the real stories of supernatural encounters with spirit, and they help us see past the veil that keeps us from realizing we are blending our reality with our thoughts. The books on this list are entertaining, not overly-academic in style, and you’ll find they feed you energetically. Entrepreneurs, movers and shakers, and creative icons love to dive into the world of the soul to break through the barriers of their minds so they can tap into ideas that move people and change modern culture. Are you ready to go down the Wonderland rabbit hole? Expanding our minds to more empowered levels of awareness helps us navigate our lives. These books grapple with the very fabric of reality that we are realizing involves much more than most of us know. Many people let fear run their lives because they don’t know any other way to live. Their deepest ingrained habits are usually meant to prevent bad things from happening to them rather than to attract great things into their lives. 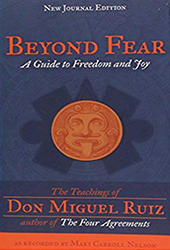 This book looks our fears in the face and teaches us an ancient way to move beyond fear (see what I did there?) to a life of joy. Precursors to this book were The Four Agreements, The Mastery of Love and The Fifth Agreement, all of which have worldwide acclaim. Buy The G.O.D. Experiments Now! This marvellous book follows a skeptical Harvard-educated scientist who was contacted by a British man having recurring dreams about the future. The scientist conducts experiments trying to disprove that the dreams were in fact visions of the future, but his findings showed that the British man was indeed able to accurately see what was going to happen in the future. It’s an eye-opening read that might help you recognize and tap into your own intuition and psychic abilities. 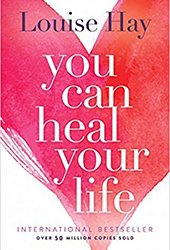 Buy You Can Heal Your Life Now! Louise Hay has founded quite possibly the largest metaphysical publishing house to date. She herself is one of the biggest metaphysical writers of all time. Many of her books have been on bestseller lists because she has unlocked perspectives within herself that have helped so many people. You Can Heal Your Life teaches you how to do the mental work of healing, in any area of your life. It reveals the link between negative thinking and sickness and offers real help for those who need an awakening or just a bit of encouragement. 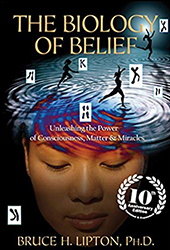 Buy The Biology of Belief Now! For those who like to geek out, The Biology of Belief is a book that explores the science of how our thoughts affect reality. This story of one scientist’s revolutionary discoveries will change and empower you. 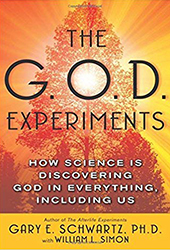 Bruce Lipton is a world-renowned metaphysical author who is proving the connection between spirituality and science by showing us how our thoughts affect the cells in our body. A fascinating read, Bruce Lipton will transform your view of how you can heal yourself. Buy Many Lives, Many Masters Now! I vividly remember having a conversation with a friend who said she had lived her whole life afraid of dying… until she read this book. She told me it literally took the pressure off and changed her life. 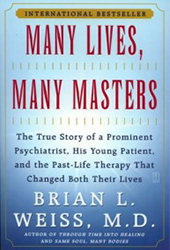 Many Lives, Many Masters shares real stories of people’s memories between lives and the past-life traumas that created anxieties in their present lives. Dr. Brian Weiss himself was a skeptic until the evidence got to be too much to ignore. He now holds expertise in a subject that most people don’t realize is actually empowering (rather than scary) to learn about: death. All of these books reveal the interconnectedness of everything in the Universe that lies beyond what the eye perceives. These stories will help you see that there are multiple layers of reality that we can tap into to create a heaven on earth. The variety of topics covered in these 5 books are each going to feed your soul in a different way, leaving you stronger and ready for more. If you feel as though your day is a drag, the people around you lack enthusiasm or real love, it’s time to dig around inside for the truth of who you are. If you seek, you will find. We are in a time where the true esoteric nature of the Universe is no longer kept from the public and we can tap into much greater levels of awareness to open the potential we each have to think and live independently from the norms that control the minds of the masses. These books will set your heart free and propel you forward on your journey. They will help you to listen to and follow the voice of your soul that has always been there, even if you didn’t know it.